Who says actors don’t get along? 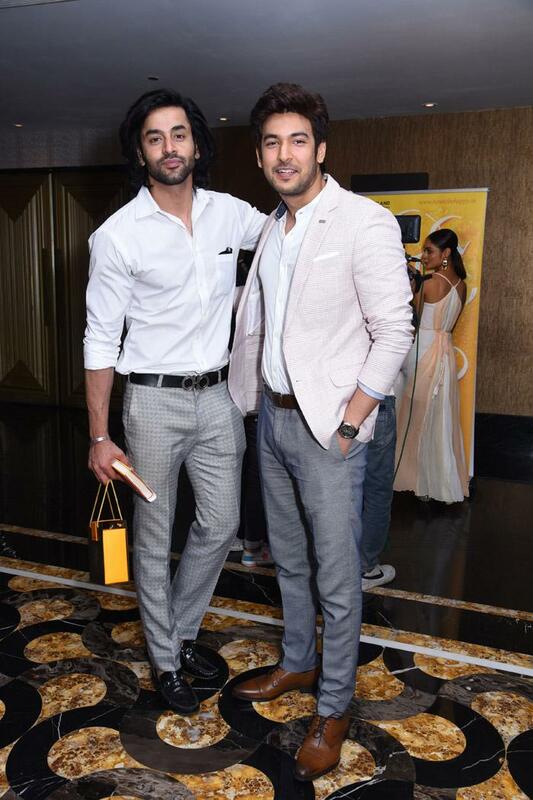 Actor Shivin Narang and Shashank Vyas got along like a house on fire at the launch of Dr. Yusuf Merchant's book ‘Happyness - Life Lessons from a Creative Addict’ recently. Starting off, the two looked dapper at the event and were clearly among the best-dressed guests. They were quite noticeable as they hung out together at the party. “The two are friends and often meet socially. They have known each other for a while now and have a lot of common friends. Besides attending a lot of television events together, they also meet once in a while,” says a source, close to the two actors. The two have a lot in common. Both started off in the industry a few years back and have worked hard to make their way to the top. Shashank became a household name with his role of Jagya in ‘Balika Vadhu’, while Shivin rose to the top with his show ‘Ek Veer Ki Ardaas...Veera’. They enjoy a premium position as two of the best actors in the industry today. “Both of them even have similar ambitions. Bollywood superstar Shah Rukh Khan is their idol and they want to follow his footsteps. These similarities aren’t hidden from their fans and Shivin and Shashank are often assumed to be brothers,” adds our source. Well, all we can say is that if they were, that would be one good looking family and why producers are not thinking of casting them together? Waiting for Koffee With Karan’s sixth season? This is when the show might come out! Enough being megastar and Badshah; Shah Rukh Khan now wants to be a LEGEND!